The PeeWee B team finished out the season with a second half record of 10-2-3. With strong play on both sides of the puck by offense and defense and stellar performance by Danny Castano in the net, the Saints found themselves in a battle at the top and the number 3 slot going into the playoffs. 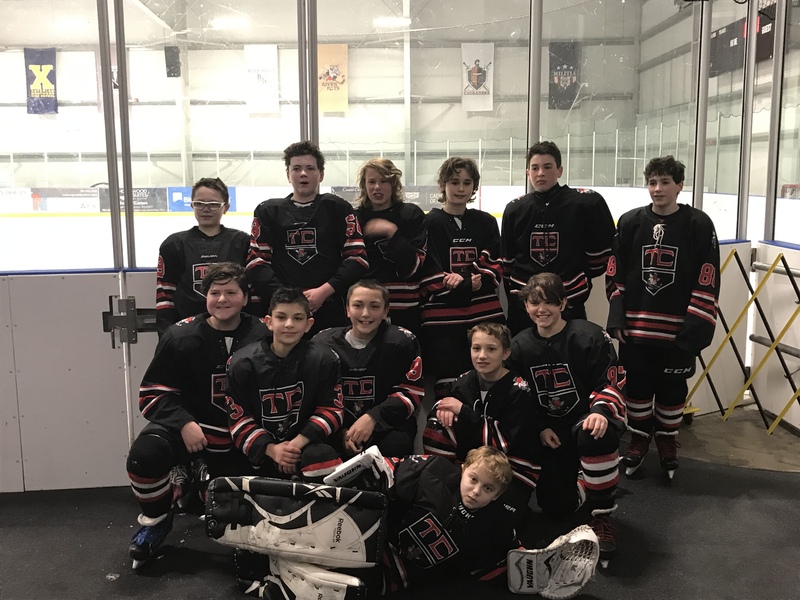 The Saints scored first in games against the Coastal Stars and Seahawks, dominated in the offensive zone and walked away with wins against both to meet #1 seeded Canton Bulldogs in the Championship game. Canton was a challenge all season. The Saints scored first with a goal by Jake Leahy, assisted by Andre DelGrosso in the first period and another goal early in the second period by Andre after a key pass from Jack Corey. The Bulldogs put on the pressure in the third period, but the Saints wouldn’t let them score. Strong defensive play and key saves by Danny helped the Saints keep the lead and win the game! 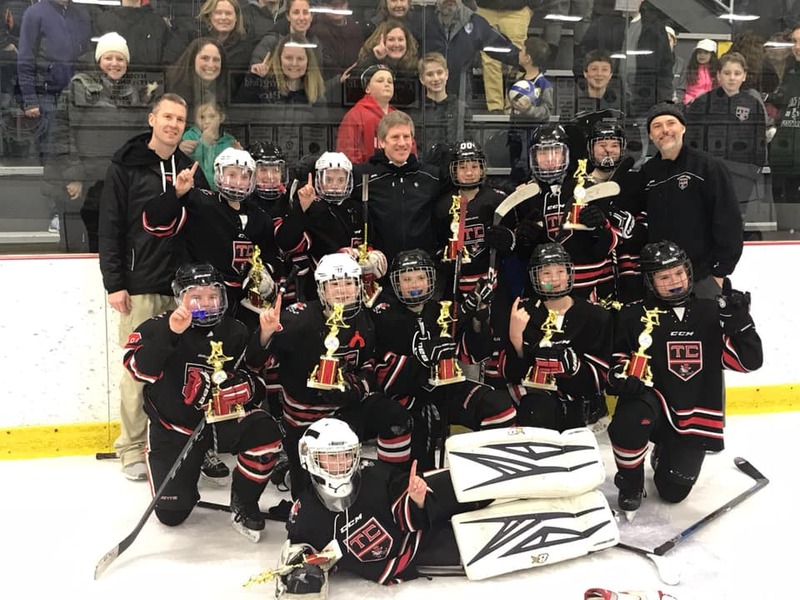 The Squirts finished the second half of the season strong, with only 2 loses since December in SSC play, and a great showing at the State tournament. They followed that up with 4 strong games in the playoffs. Through the playoffs the Squirt 1 team outscored their opponents 15-2, with 8 different players scoring goals, and at least 7 with assist. Brady DeRoche recorded 2 shutouts with the last one being in the championship game as the Saints closed out the season with a 2-0 victory over Barnstable. Cade Noonan had the game winner, with Kyle Gass scoring the second goal on a beautiful chip in to give some breathing room. The Saints knocked off the number 1 seeded Weymouth team 3-1, and also the number 4 seeded Braintree team 6-1 with stifling team defense along the way. The team displayed a lot of versatility and worked hard all season and truly earned the championship this season. We are proud of you, Saints! 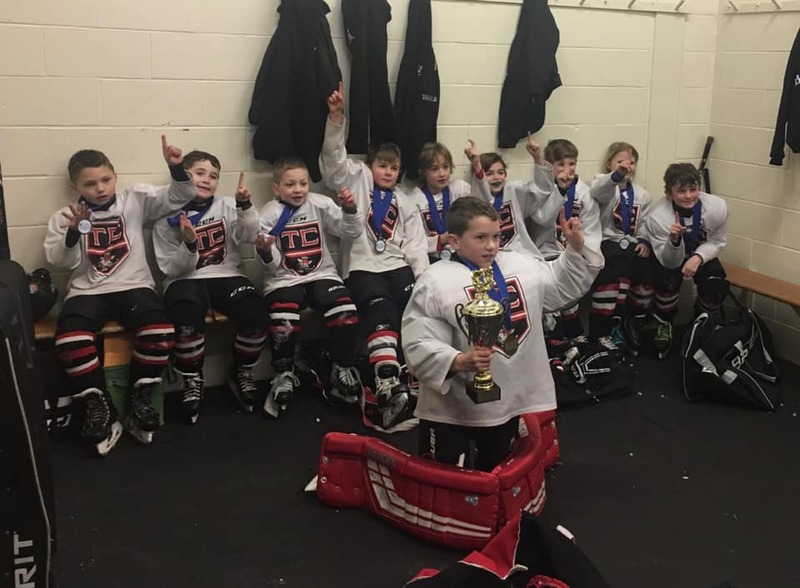 2018-19 SSC Peewee A Re Champions! The championship game against the Seahawks featured 2 evenly-matched teams. The Saints had goals by Aidan Cousineau in the 1st and Andrew Livingstone in the 2nd, with the Seahawks answering each time. With the game knotted 2-2 into the final minute of play, D-man William Cameron scooped up a loose puck off the boards and passed it to Matty Tourigney in the middle, who scored the game winner with just 43 seconds left. What an exciting win for the Saints! 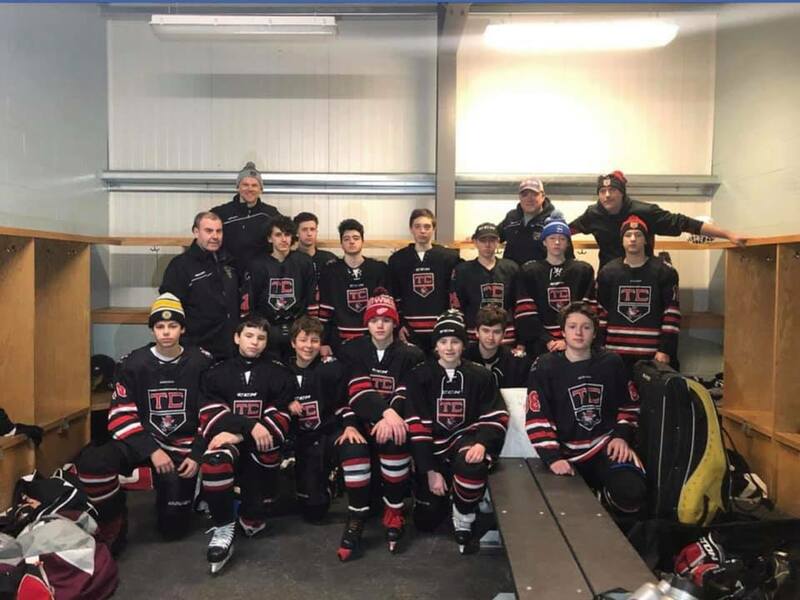 The Peewee As went 31-8-2 in SSC and Mass State Tournament play, reaching the MA Medium Tier II semifinals and winning the regular season SSC Re title as well as the SSC tournament. They scored 158 goals while allowing only 70 goals on the season. Goalie Dylan Quinn played in 39 games and registered a 1.64 GAA. What a terrific season for these Saints! Congratulations to the players, Head Coach John Derocher and Assistants Mark McGuire and James Lawson. Mite A finishes 2nd in Division! 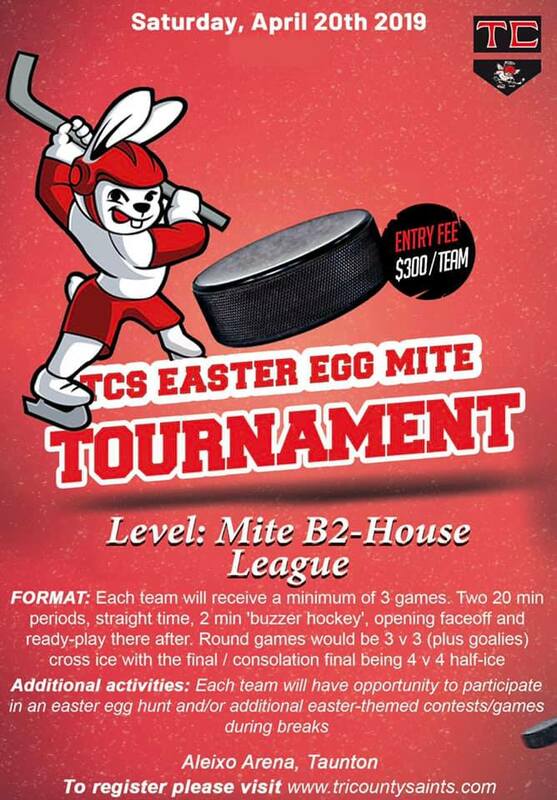 Congratulations to Mite A on a fantastic season and a 2nd place division finish. They fell to a tough Pembroke squad, 4-3, in their season finale. Quinn Groethe had a hat trick in the loss while Ethan Lazdowsky had 46 saves in net. We are proud of you, Saints! See you next year! Bantam 1 Regular Season Champions! 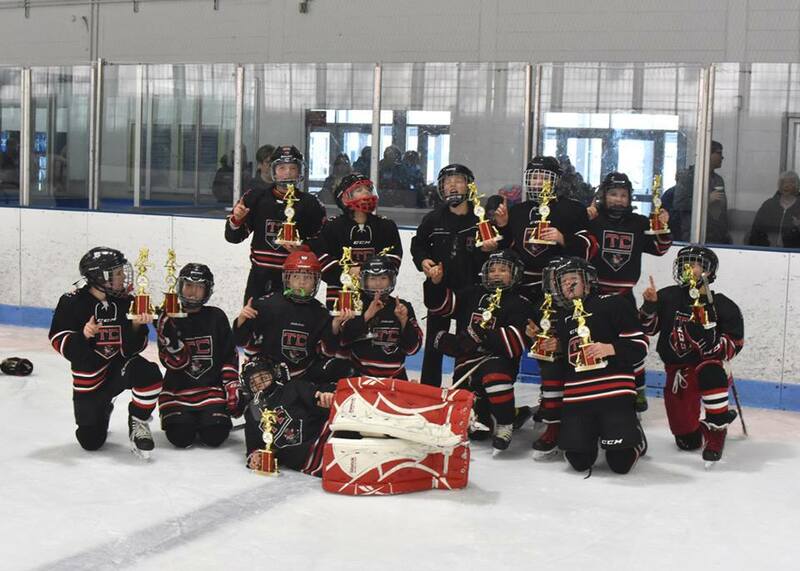 Congratulations to the Bantam 1 team, who captured the South Shore Conference Herman B regular season championship. The Saints had a record of 22-7-2 in SSC play over the course of the season and move into the playoffs as the #1 seed. What a great season, Saints! #RethinkYourTraining with our Power Edge Clinic! 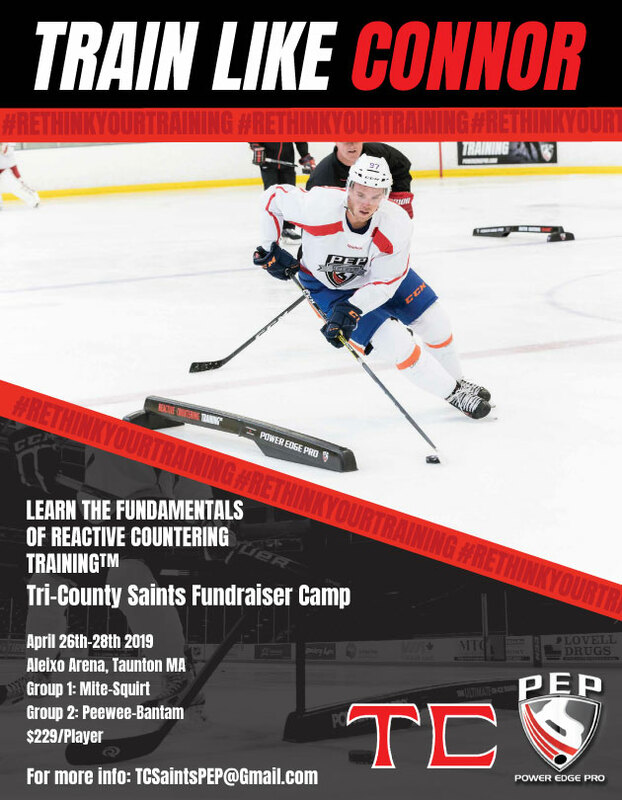 Tri-County Saints and Power Edge Pro are partnering to host a 3 day clinic April 26-28th at Aleixo with coaches. This camp will preview what's to come next season as this exciting partnership provides TCS with the training, technology and equipment so that our players can benefit from the same training techniques used by the world's best players throughout all of the 2019-2020 season. Session times are on Friday evening, Saturday morning and Sunday morning. 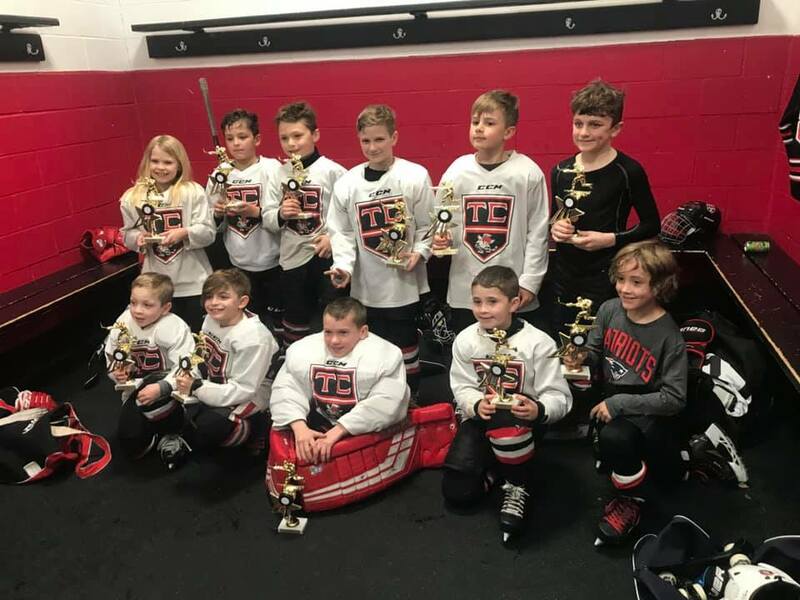 Congratulations to the Tri-County Saints Mite A team! Central MA Winter Classic champions in an exciting 5-4 OT win! Way to go, Saints!